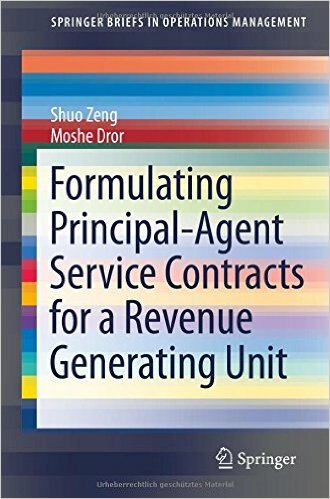 This book examines contractual options for a performance based contract between an owner of a revenue generating unit and a repair agent for such unit. The framework of the analysis is that of economists' principal-agent problem. The contractual options of a principal and an agent are modeled as a Markov process with an undetermined time horizon. For a risk neutral principal, the authors identify the conditions under which a principal contracts with a risk-neutral, risk-averse, or risk-seeking agent and derive the principal's optimal offer together with the agent's optimal service capacity response. 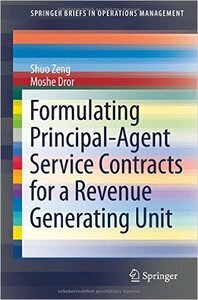 In essence, the book provides an extensive formulating analysis of principal-agent contracts given any exogenous parameter values. Ultimately a small number of formulas cover a large spectrum of principal-agent conditions.